O.T. (with rose) was made for Puzzle – The collection exhibition from GfZK Leipzig and features two works of female artists, whom are within the collection. 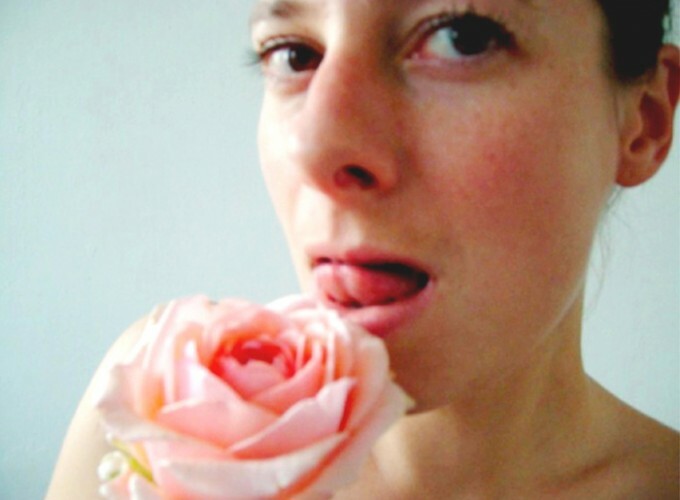 It is a screen-shot out of the video reenactment of Maria Lassnig´s “Selfportrait with rose” also inspired by Pippilotti Rist´s fotographie “I only have eyes for you”, playing with innocent fragility and prurience.